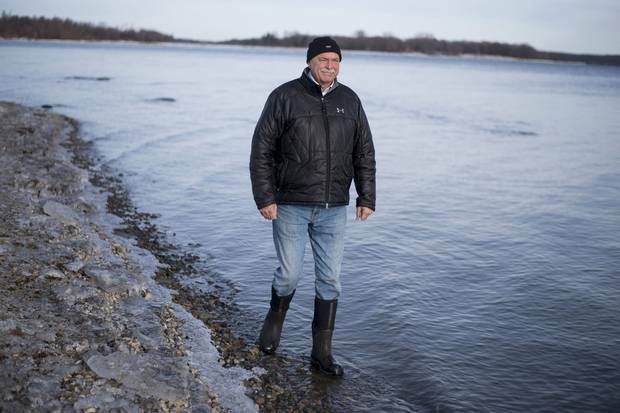 Rick Blanchard walks along the shoreline of his property on Lake St. Lawrence, between Lake Ontario and the St. Lawrence River. The nearby Moses-Saunders dam is used to regulate the water levels, and last year he was one of several people to question the water-management plan. It was in the dead of winter one year ago that Rick Blanchard, a waterfront property owner on Lake St. Lawrence – a small dam reservoir between Lake Ontario and the St. Lawrence River – noticed the water and ice outside his beachfront window was more than a metre higher than usual. The level downstream past the dam, he noted, was a bit lower than average. Mr. Blanchard made note of it on a sleepy water management Facebook page where he was one of about five people active in the winter months. Wouldn't it make sense, Mr. Blanchard asked, to release more lake water into the St. Lawrence River before the unpredictable start of spring? No, the water management board's social media person answered. Slow water flow was needed to keep ice from breaking up, jamming and triggering a flood. Plus, new marching orders to regulate levels and flow just came into effect from a bilateral agency that regulates bodies of water along the Canada-U.S. border. Discretionary changes were not allowed until "extreme conditions" arrived. Things got extreme. In the spring, constant record-breaking rainfall, rapid snow melt and high water levels on the other Great Lakes would flood hundreds of private properties and public infrastructure around Lake Ontario. That water would combine with the raging Ottawa River to cause far greater devastation in Quebec, where 5,371 homes were flooded. Nine months later, the total damage still has yet to be tallied. The Quebec government held a forum just before Christmas where mayors and flood victims complained of slow inspections, lagging decisions and the slow flow of compensation. Provincial disaster relief and insurance claims are expected to cost more than half-a-billion dollars in Quebec alone. The controversy over water management and the record floods of 2017 pitted the interests of Americans against Canadians, experts against politicians, and property owners against each other, not to mention shipping companies and shoreline wildlife. This winter, with water levels persistently higher than average, shoreline residents are looking warily to spring and the uncertainty that comes with every spring melt and rain season. 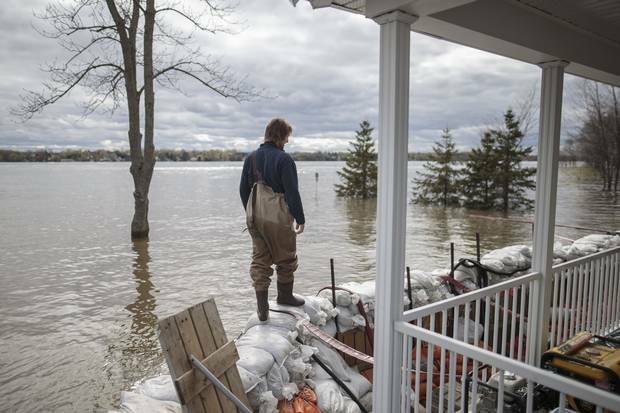 May 9: Patrice Pepin walks along a barrier of sandbags holding back the Ottawa River’s waters at the home of his brother Christian Pepin and wife Marie-Pierre Chalifoux in Saint-Andre-d’Argenteuil, 90 kilometres west of Montreal. 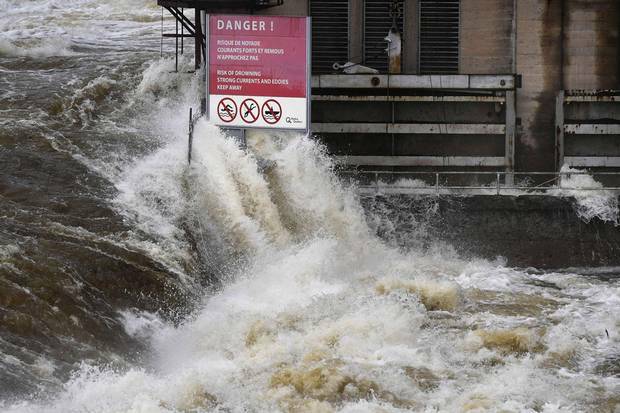 May 6: The Ottawa River crashes past a warning sign at the Chaudière Falls in Ottawa. 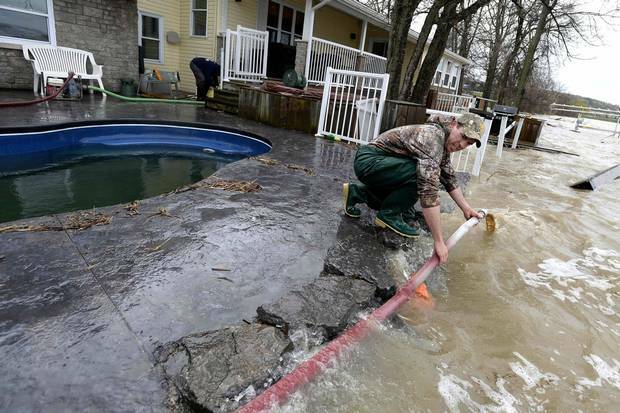 May 7: Martin Gervais works to get a pump’s hose flowing again as water crashes against a rock wall at a home in Rockland, Ont., about 40 kilometres east of Ottawa. May 10: Gatineau, Que. Nine months after the devastating floods, the total damage has yet to be tallied. May 10: A flooded street in Gatineau, Que. By the flood’s end, some 5,371 homes in the province of Quebec were flooded. Last winter, Mr. Blanchard's reasonable and polite question was the first of hundreds that would follow from enraged, flooded property owners – particularly Americans whose waterfront Lake Ontario properties were underwater or eroding away with every windblown wave. Many demanded the flood gates be open even though entire neighbourhoods downstream in Canada were underwater, discounting the fact every centimetre of water level released from Lake Ontario would push the St. Lawrence River 10 centimetres higher. Mr. Blanchard, a boating enthusiast, is retired and lives with his wife Helen just upstream from the lone dam near Cornwall, Ont., that controls some of the water flowing from Lake Ontario into the St. Lawrence River. The International Great Lakes - St. Lawrence River Board uses the Moses-Saunders dam to try to balance interests of waterfront property owners, shipping companies, pleasure boaters, municipal and industrial water users, power companies and wetlands. "A lot of people think just about themselves. It's human nature, I guess," said Mr. Blanchard, a Canadian who admitted he, too, was looking after his own interests last winter as he worried about the sand on his beach washing away. To counteract local self-interest, Canada and the United States created the International Joint Commission (IJC) in 1909, an independent agency to regulate shared water bodies and settle disputes, along with the board that manages Lake Ontario and the St. Lawrence. The board consists mainly of scientists from the Canadian government and the U.S. Army Corps of Engineers, along with other appointees. Year round, they meet weekly to decide how much water to let through the dam. For some people, especially in the United States, the blame for last year's floods landed on the IJC, the board and a new set of rules they created called Plan 2014 (which actually launched Jan. 1, 2017). The new plan updated 54-year-old regulations and is designed to allow more variation in water levels to improve the health of wetlands. Several species of turtle, for example, are threatened if water can't fluctuate to create marshes and sandbars. The IJC says the plan will also boost hydro-electricity generation, maintain better levels for navigation and extend the recreational boating season. Water managers are allowed to veer from the plan to deal with emergency situations like last year's flooding, but still many blamed Plan 2014 for setting the stage for flood. When Mr. Blanchard questioned water levels last February, flooding wasn't on the horizon. Rain, snowfall and inflows from the other Great Lakes were normal. The Moses-Saunders dam was allowing 7,300 cubic metres per second through – just slightly more than the usual flow in recent years. Over the next 60 days, rain all around Lake Ontario would wash out records. 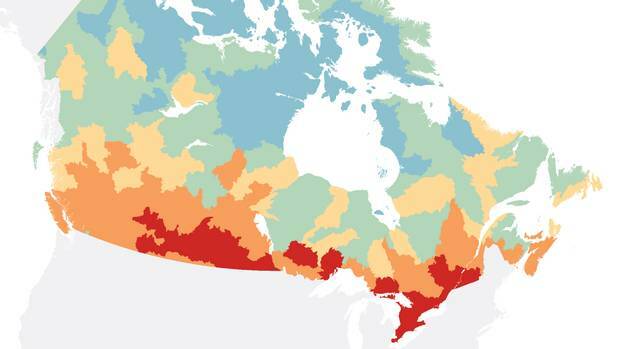 Water rose rapidly on the Great Lakes and also the Ottawa River – the river that streams along the border of Ontario and Quebec and flows into the St. Lawrence just west of Montreal. This area would be the epicentre of the Quebec flood zone. 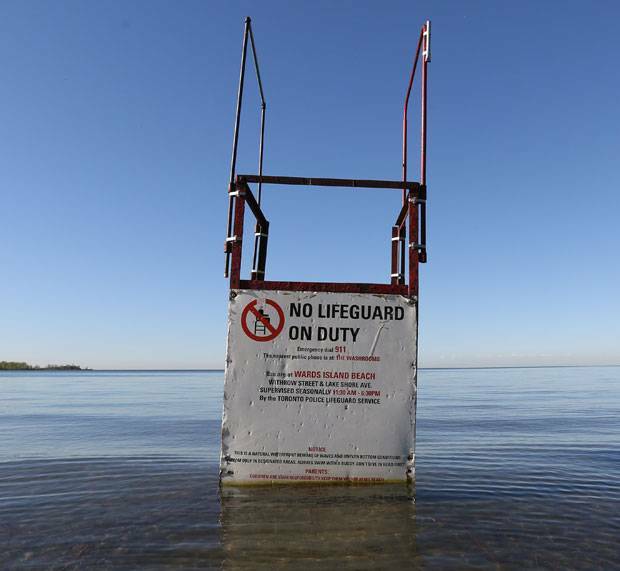 Desperate to help contain flooding, the board cut back the flow of Lake Ontario water on May 8 to 6,200 cubic metres per second. The Toronto Islands and the New York shore of Lake Ontario then flooded with high waters that persisted into August. The gates on the Moses-Saunders dam were opened steadily as the floods receded in Quebec. By Aug. 8, the dam allowed through 10,400 cubic metres per second, the highest volume ever and nearly twice the average flow of the three cascades that make up Niagara Falls. For comparison, flow at the dam never surpassed 8,600 cubic metres per second in 2016. In the U.S., experts weighed in: Spring rainfall and water levels on other Great Lakes broke records and made flooding unavoidable. "These waters have humiliated officials who have tried to harness and manipulate them for hundreds of years," said Peter Annin, author of The Great Lakes Water Wars and head of an American freshwater institute. "In years like this there's not much people can do no matter what plan is in effect. Relief for one community harms another community. "There are no simple solutions." The floods would expose a vast gulf between the political cultures of the two countries. In the United States, the flooding featured political leaders who put local property rights above downstream and environmental effects. Open the floodgates, they demanded, with little regard for what it would do to millions of people in the St. Lawrence River valley. Republican congressman Chris Collins and Democrat New York Governor Andrew Cuomo led the chorus. The IJC "blew it. I don't see how you can debate that," Mr. Cuomo told local reporters May 29 after touring the flooded areas of New York. 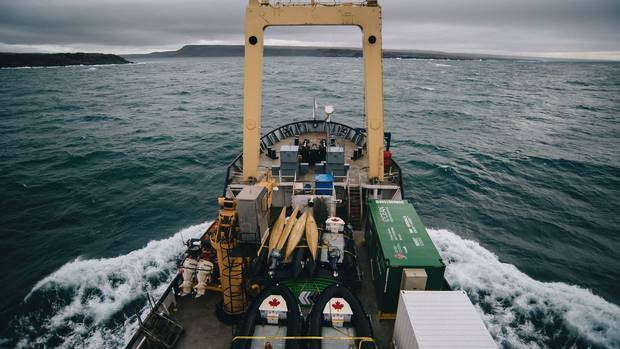 "I understand they have a lot of concerns they have to deal with, they're dealing with Canada and Montreal and the St. Lawrence. I represent the people of the State of New York, and the people of the State of New York are getting the short end of the stick, right?" 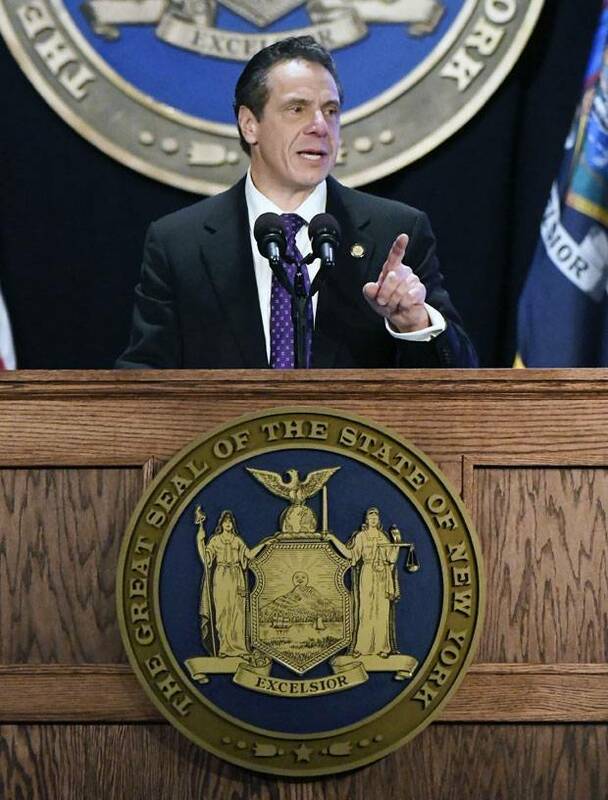 Mr. Cuomo announced $27-million in aid for several hundred homeowners who suffered damage. By comparison, Quebec alone set up a $350-million fund to cover costs to public infrastructure and emergency aid to more than 5,000 homeowners. 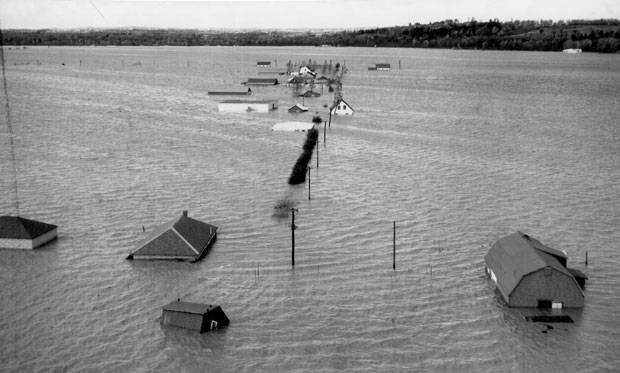 Several hundred homes were also flooded along the Ottawa River on the Ontario and Quebec sides. 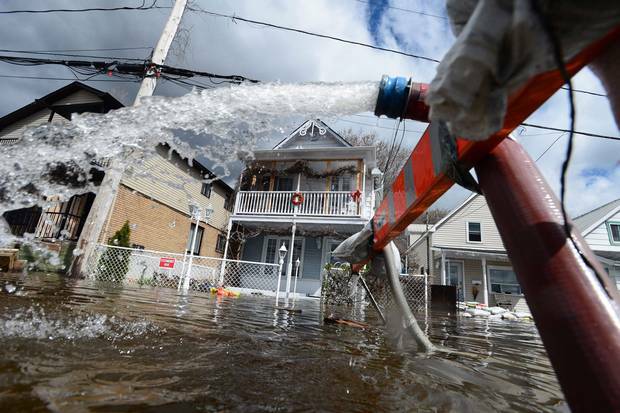 The Insurance Bureau of Canada reported $223-million in insured losses in the two provinces. It's important to note that while Canada suffered 70 times greater financial losses than the U.S., Canadian politicians took a different tack. The same water that flooded New York State swamped the Toronto Islands, closing them to recreational use for much of the summer and causing at least $5-million in damage and millions more in lost revenue for local businesses. Mr. Tory simply noted it was "mother nature at work." On his many tours of flood zones in Montreal former mayor Denis Coderre blamed the rain, and did not criticize Plan 2014 or regulators. David Heurtel, then Quebec's environment minister, endorsed Plan 2014 and the board's work saying it is a "good example of balance between environmental, economic and social considerations." Gordon Walker, a lawyer and the Canadian co-chair of the IJC, said Americans seemed to have misconceptions about the new plan. He said the management board was operating on an emergency basis to try to save property through the spring. Plan 2014 had no effect on the disaster situation, nor did political considerations, he said. "We have political people making a lot of noise and criticizing us for what we did or didn't do, but it's just on one side of the border," said Mr. Walker. "On the other side, hardly a word was uttered about Plan 2014 and I daresay more homes were inundated on the Canadian side." Rigaud, a small bedroom community about an hour's drive west of Montreal, was one of the hardest hit towns with about 500 of 3,000 homes damaged. Hans Gruenwald Jr., the frank-speaking mayor of the town, said there's no "magic wand to make the water go away." "I'm not going to start blaming anyone else, the water was there and it had to go somewhere," the mayor said. His biggest problem these days is processing 273 outstanding files and convincing people to move from low-lying areas likely to flood again in an era of climate change and unpredictable weather. Water and shoreline managers and local officials share the same problem up and down the St. Lawrence and on Lake Ontario, especially in the United States. "People are willing to kill to live on the waterfront," Mr. Guenwald said. Céline Hardy and her husband Serge Kelly gave up. Their address at 5366 des Macons, in Pierrefonds, a Montreal suburb, was the first to be condemned. There will be no rebuilding on their lot sitting in an area that historically floods at least every 20 years, known as a zero-to-20 flood zone. For 27 years the basement flooded regularly in spring and two big sump pumps kept their home from being damaged. They moved to a new house on higher ground in another suburb, Salaberry-de-Valleyfield. The couple should receive the maximum $200,000 for their lost home, plus $130,000 for the land, plus thousands more for demolition, lost furniture and other replacement costs. "At first I felt like I should fight, but now I've made my peace with it," Ms. Hardy said. "Holding on doesn't do anything. For us it's over." 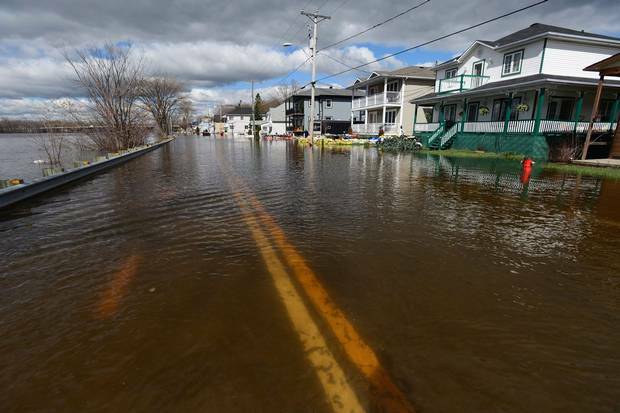 Quebec has had a mixed record on moving flood victims out of flood zones. 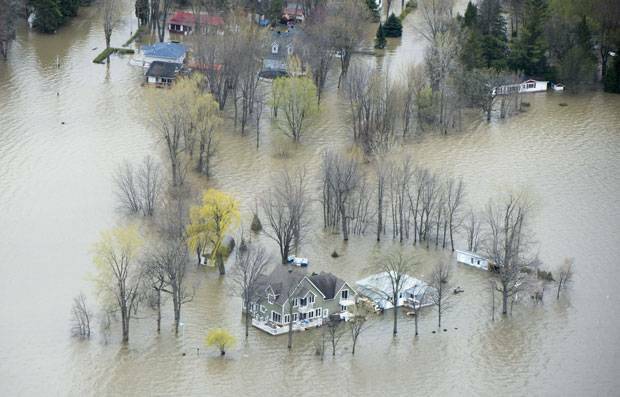 Some 600 homes from the 2017 flood are total losses that will not be rebuilt; another 860 houses in the old neighbourhoods of Gatineau and Deux-Montagnes, a Montreal bedroom community, received exemptions that will allow people to rebuild following stricter building codes. History in Ontario, however, shows how effective it can be to take a harder line on rebuilding in flood zones. In 1954 intense rainfall from Hurricane Hazel caused flash flooding in Toronto, killing 81 people. To prevent future disasters, Ontario introduced stricter rules than most jurisdictions on building close to water. "Hurricane Hazel in the 1950s basically established a line below which it is considered flood plain and people were not allowed to build without certain flood-proof measures. Governments took major steps to make sure areas prone to flooding would not be impacted," Mr. Walker, the IJC co-chair, said. As global warming makes high and low water levels more difficult to predict, a fundamental shift in thinking is essential, states Rachel Havrelock, founder of the Freshwater Lab at the University of Illinois at Chicago and an expert on global water conflict. "We can't act as if lakefront property is sacrosanct and that the job of our water agencies is to just manage people's investments," Dr. Havrelock said. "We need to get rid of lawns that end at the water. There are waterfront places from which people need to retreat. I don't want to pretend this isn't painful, but this system of private property on public waters has not been a good water management strategy. In some cases people just need to swap out their land and they need to be repurposed as wetlands." Many critics of Plan 2014 point to its goal of allowing a wider range of water levels to improve wetlands as the source of their flooding troubles. The maximum water level at normal wet times will be six centimetres higher than the old plan. Plan 2014 predicts ongoing erosion damage of about $25-million per year to lakeshore property – up $2.5-million per year from the previous plan. 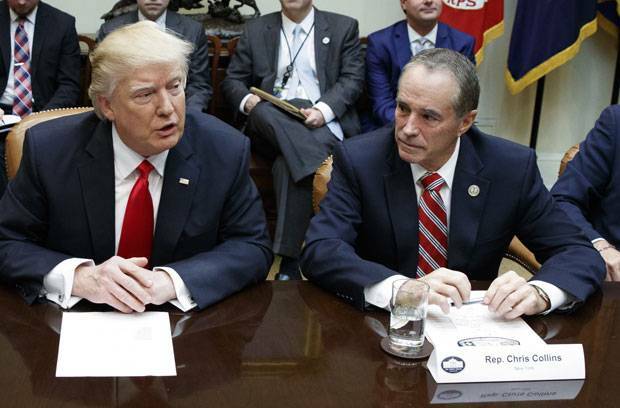 "It's not simply coincidence that these record levels are being surpassed during the first year of Plan 2014's implementation," U.S. congressman Chris Collins wrote this summer in a letter attempting to rally Congress to reopen the plan. Mr. Walker said the launch of Plan 2014 occurring at the same time as the floods is a coincidence, and the real problem is New York State officials. "They permit people to build on sandbars and think nothing of it. It's a terrible situation," Mr. Walker said. "We didn't authorize them to go there, and it's not our job to tell them not to go there. Our job is to deal with water and balance interests as much as we can. There's only so much we can do." Water levels on the Great Lakes tend to work on a 12-year cycle. For about six years the waters usually rise and for about six more they fall, according to experts. Plan 2014 allows adjustments for climate change both on the high and low ends of the scale. IJC officials warn flooding rains, like those last spring, or extended dry spells, such as the one that persisted from 1998 until 2013, could become more extreme. No one knows how long a new wet cycle might persist, according to Mr. Annin, co-director of the Mary Griggs Burke Centre for Freshwater Innovation at Northland College in Ashland, Wis. "We are entering a period of weather unpredictability and insecurity. These kinds of rapid changes in water level may be the new normal." Mr. Annin said the politicization of water is not unusual and the governor of New York is "doing his job, making it clear to his constituents he cares." But politicians should dial back criticism, he said, because "this might be only a taste of what's to come in the future." The key to avoiding escalating water conflict is to allow the IJC to use its expertise to decide the best way forward free from politics, he said: "This is the entire reason it was created." 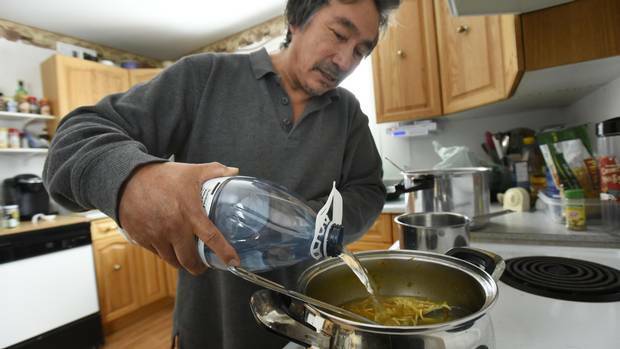 Unsafe to drink: Water treatments fail on Canadian reserves, Globe review finds For every water-treatment system the government fixes, plenty remain in a shambolic state, Matthew McClearn explains.